One of the jewels of Sardinia, this little cove blends harmoniously with the limestone coast on the southern part of the Gulf of Orosei, on the central-western coast of the Island. 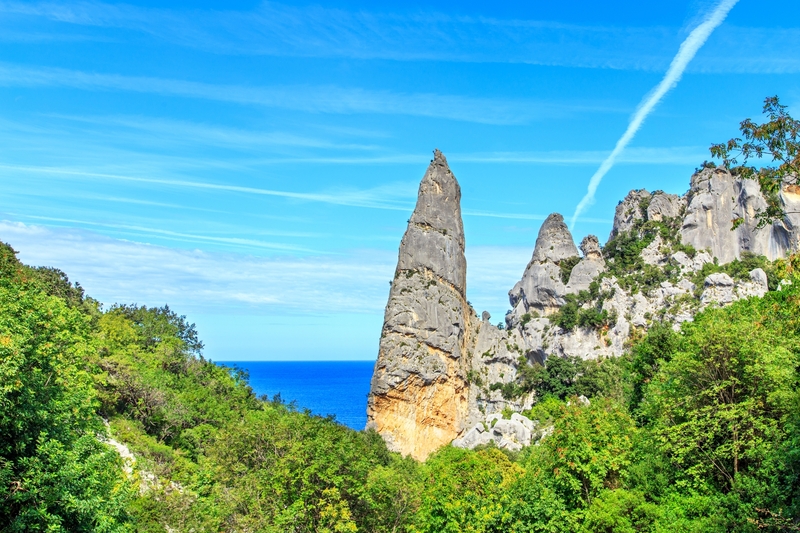 The rugged, rocky coastline of Baunei is characterized by the natural monuments of Perda Longa that descends down to the sea and the aiguille of Monte Caroddi, which is shaped like a pyramid, is one hundred metres high and is situated near Capo di Monte Santo. Behind them is a forest full of strawberry trees and Holm oaks. The beach of Cala Goloritzè is located in this context: smooth, white pebbles, transparent, turquoise waters, the result of underwater karst springs, marble rocks shapedover time by the weather and a shallow seabed. 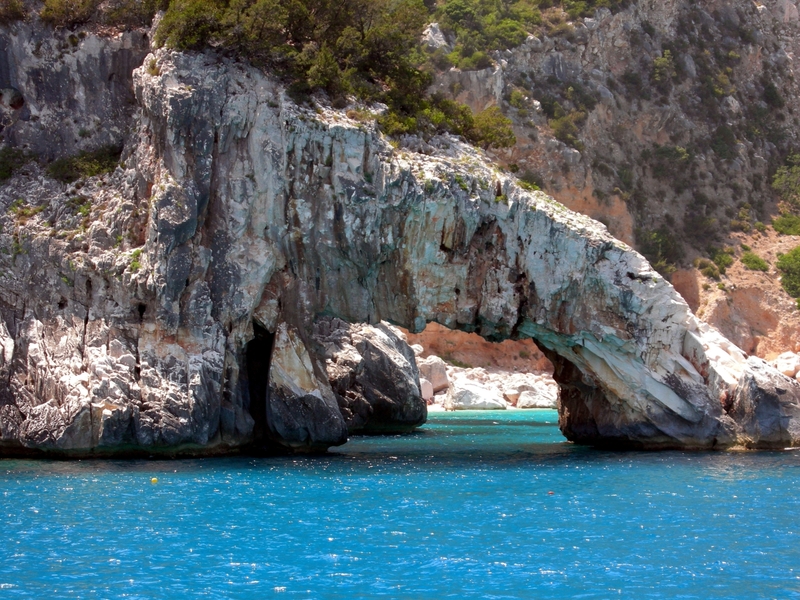 It is one of the most beautiful little coves in the whole of the Mediterranean and has become a national monument. 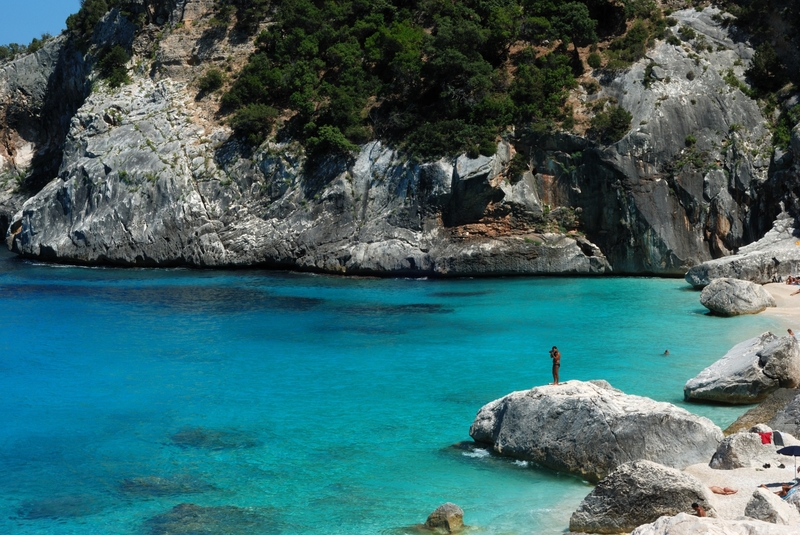 It is a magical place, not to be missed during a visit to Sardinia and is often considered a symbol of the island. The landscape, already wonderful in itself, is further enriched by the presence of the Eleonora's falcon, a rare species that has chosen this area as a nesting place. 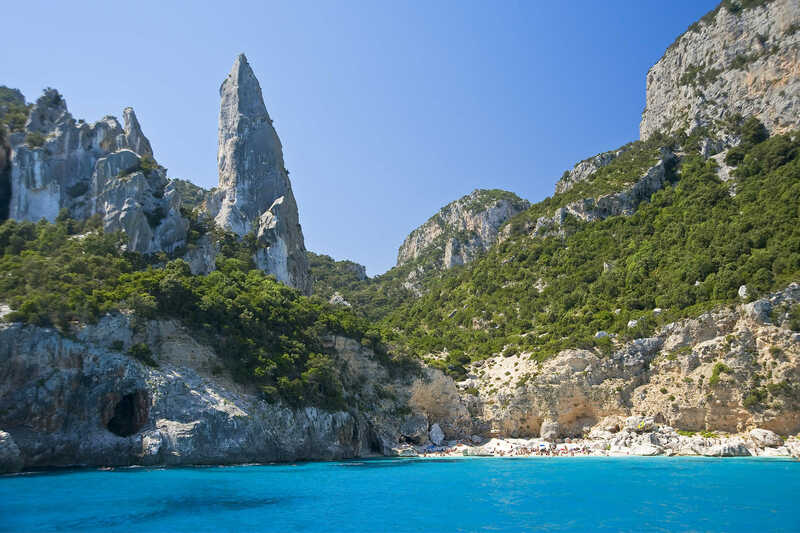 We must not forget that Cala Goloritzé is the home of active tourists: overlooked, almost guarded, by the magnificent limestone aiguille, which is definitely worth the challenge for free climbing enthusiasts. The cove can be reached on foot via land or by sea in a boat. The 'classic' trekking trail leaves from the Su Porteddu car park. Through the Supramonte di Baunei, the itinerary unravels downhill for about an hour (and an hour and a half uphill on the way back) but it is quite easy and can be tackled by everyone. You can get to the beach via the sea once you have gone past the delimitation buoys (300 metres from the water's edge), exclusively in boats without a motor. 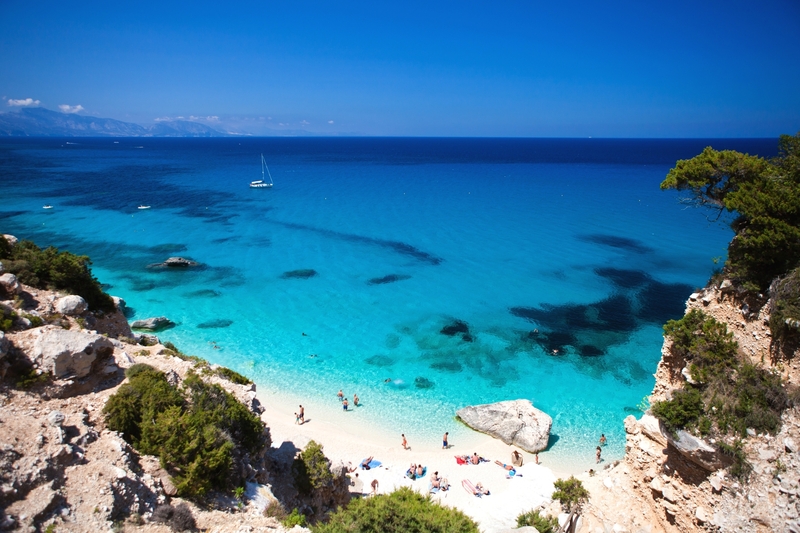 Cala Goloritzé may be reached by two routes: one on land, the other by sea. On land, it is reached on foot, along a trekking trail that starts from the car park at Su Porteddu. Here starts a trail that reaches first Cala Luna and then Cala Goloritzè. This trail, which winds through the pristine nature of the Supramonte di Baunei, takes about one hour on the way down (and one and a half hours on the uphill return walk), and is fairly easy and manageable by reasonably fit walkers. Alternatively, there is the sea route. However, motorboats are not allowed within 300 m from the shoreline, as signalled by the buoys. This cove is an ideal destination for pleasure boaters and is also very popular for a day trip on one of the tourist boats departing from Calagonone or Santa Maria Navarrese.